Don’t throw away profits! Recycle your electronics scrap with Specialty Metals, the best electronics refiners in the US for secondary refining of Gold, Silver, Platinum, Palladium, Rhodium and Electronics scrap. Used electronics and electronics scrap can be excellent sources of Gold, Silver and Palladium. These metals are used because they each have certain qualities that improve performance of electronics like computers, including excellent electrical conductivity, thermal conductivity, and resistance to corrosion. More importantly, their scarcity means that they are among the most valuable precious metals. 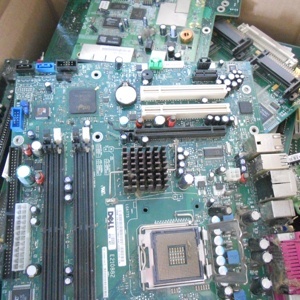 If you want to reclaim the hidden value in your scrap, there's no more profitable place to look than electronics! And when it comes to finding the best electronics refiner, you don't have to look any further than Specialty Metals Smelters and Refiners, the top choice for secondary refining of gold, silver and platinum group metals in the U.S. for over 36 years.